Hello, and welcome to one of many stops on American Patchwork & Quilting's 1 Million Pillowcase Challenge Blog Hop. 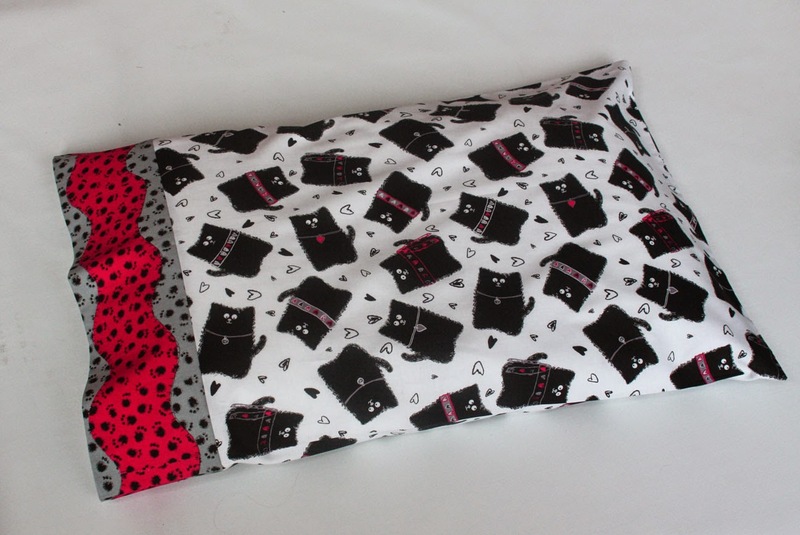 As a sponsor of the Challenge, we're thrilled to be sharing a pillowcase made from Kanvas' Smudgy Cat collection, which we'll be donating to The Ronald McDonald House New York. We love the 1 Million Pillowcase concept--they're quick, easy and fun to make, and such a simple way to make a difference in someone's life. We're happy to help AP&Q in its quest to hit 1 million--will you help too? We used three prints from the Smudgy Cat line along with the Rickrack Band pattern, #21 out of the 43 (!) free pillowcase patterns available on the All People Quilt website. 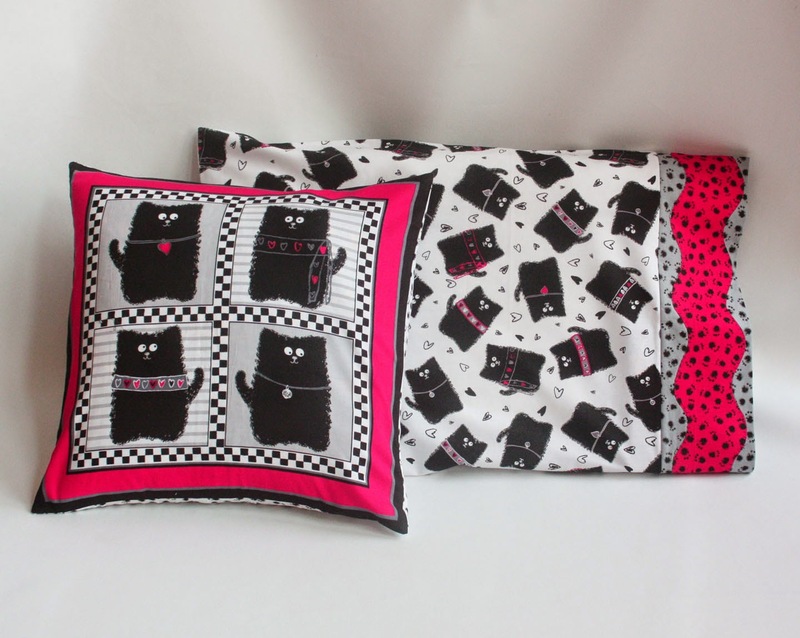 We loved the overall cat print for the main pillow, and the two paw print fabrics provided great contrast for a wavy edge cuff. We think these friendly kitties will warm the heart of whoever receives the pillowcase--who couldn't help but smile at these cuties?! Here's our pillowcase with a coordinating throw print made from the collection's panel--equally cozy and welcoming, we think! And then keep hopping! Visit all of the blogs below to see the various pillowcases that were stitched just for this blog hop, helping in the push to donate 1,000,000 cases. Have you made a pillowcase for the Challenge yet? 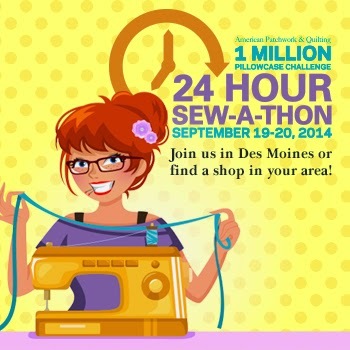 You can find more details and patterns here, as well as information about the 24-Hour Sew-a-thon, scheduled for September 19th and 20th, 2014. Imagine how many pillowcases can be made in 24 hours?! Oh, oh, oh. Is your computer loudly purring, and drooling, and shedding a little? 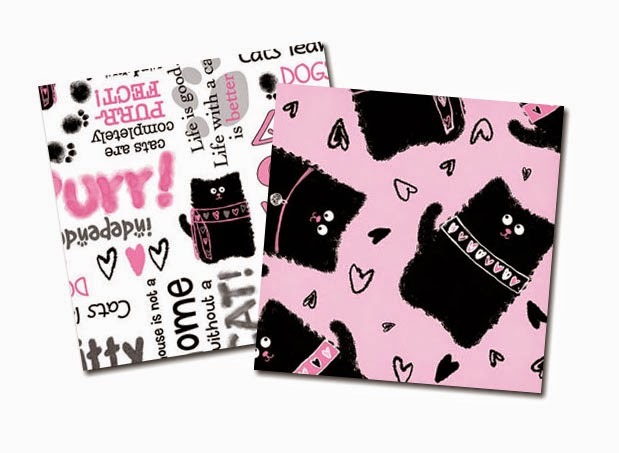 It is just I, the ultimate cat person purring in contentment over this fabric line. I love it!